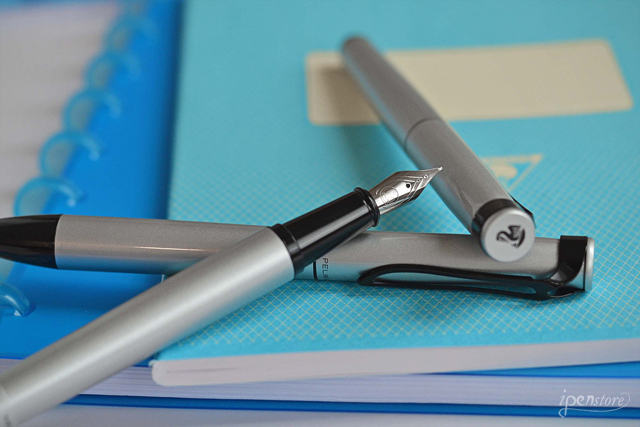 We love the new Pelikan Stola III line- fountain pen, rollerball and ballpoint pen. 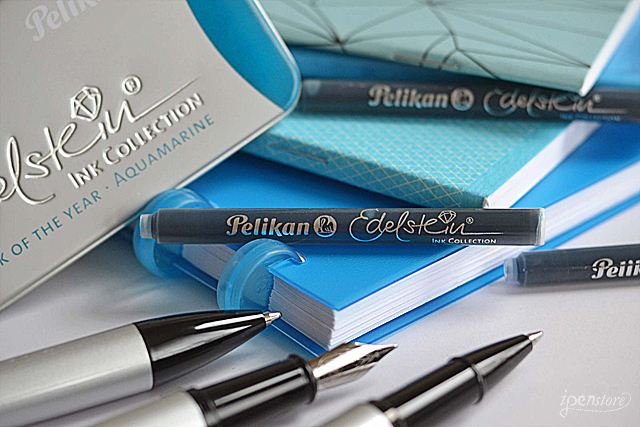 Pelikan manufactures some of the best writing instruments so it's exciting to see this collection that is both high quality and a really good value. Each pen in this line features a lacquered brass barrel and a black stainless steel Pelikan "beak" clip. The cap and top are made of aluminum. The fountain pen has a stainless steel nib in medium. 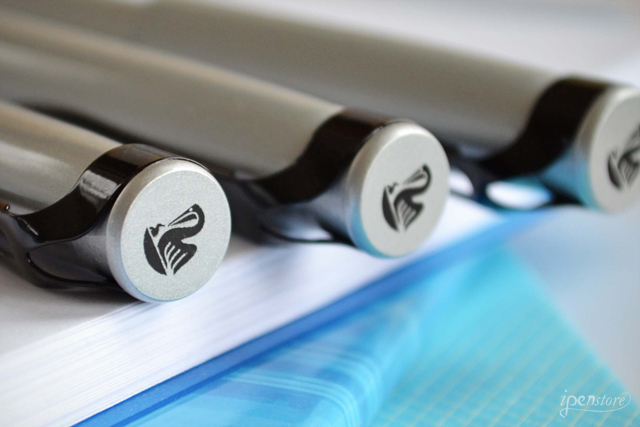 The cap on the fountain pen and rollerball features the Pelikan logo. Each pen comes packaged in a silver gift box. 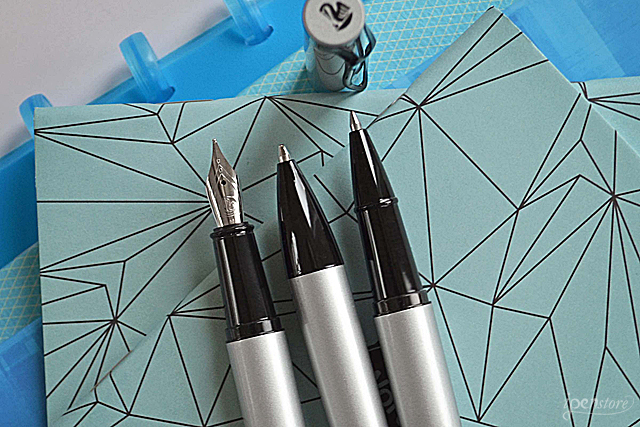 The Stola III fountain pen comes equipped with a Pelikan long international cartridge in black, but it's the perfect opportunity to try out the new Edelstein Aquamarine ink cartridge for a different option. Spring Vibes Green Bundle Giveaway!